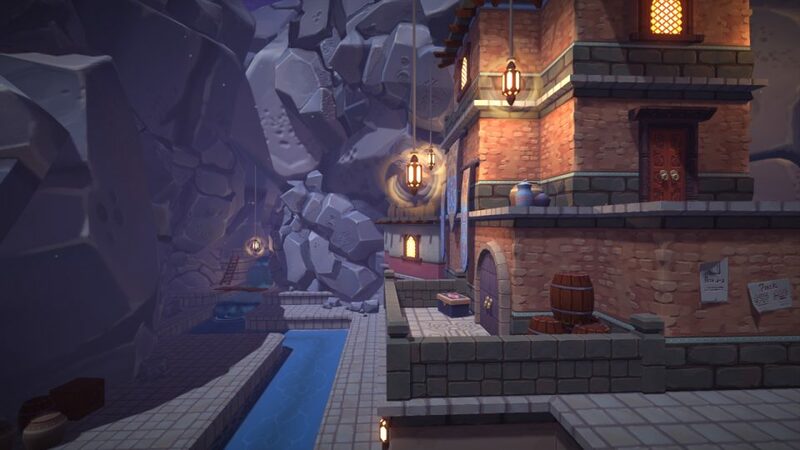 A village hidden in a rocky cavern. 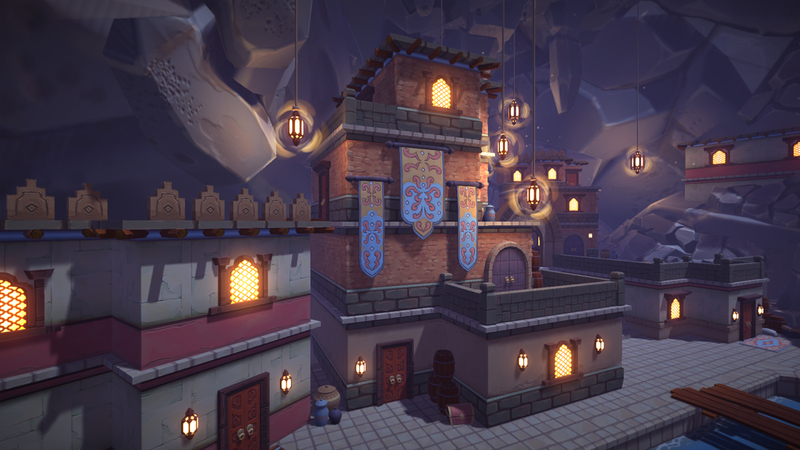 This project is available on the unity asset store. 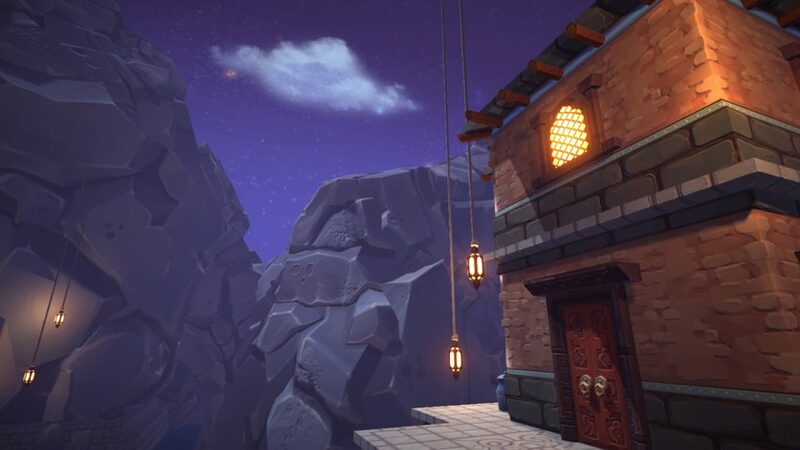 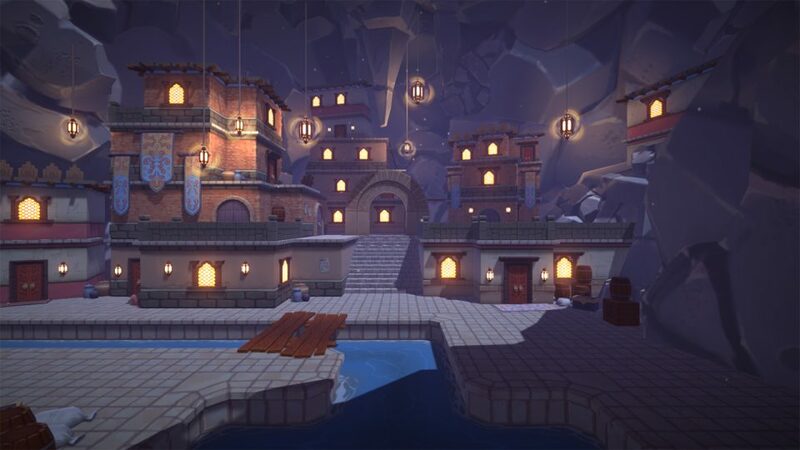 It’s a low poly, modular cave city environment pack that allows you to to build your own village set in a rocky landscape.